TheRustedChain - The Blog: In a magazine! 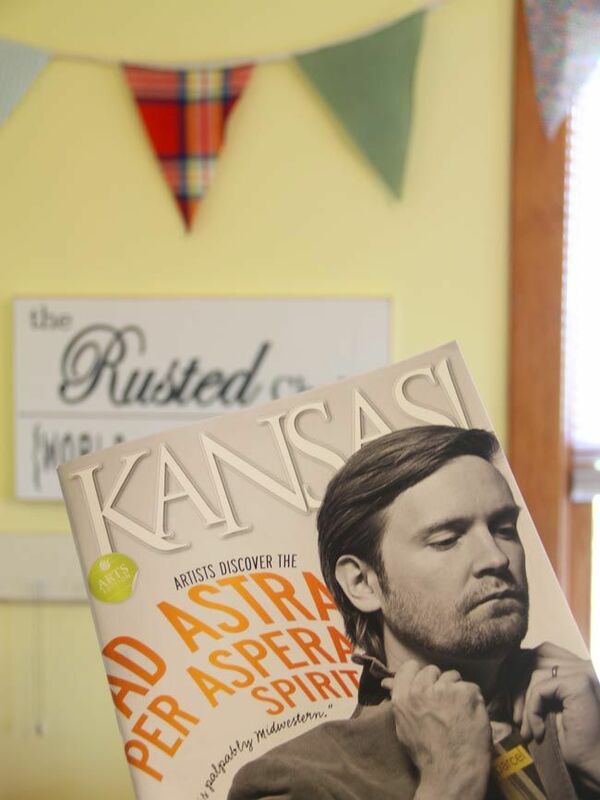 Did you know that Kansas has it's own magazine? It's a beautiful publication spotlighting the best things in the state. And guess what? They featured us!! 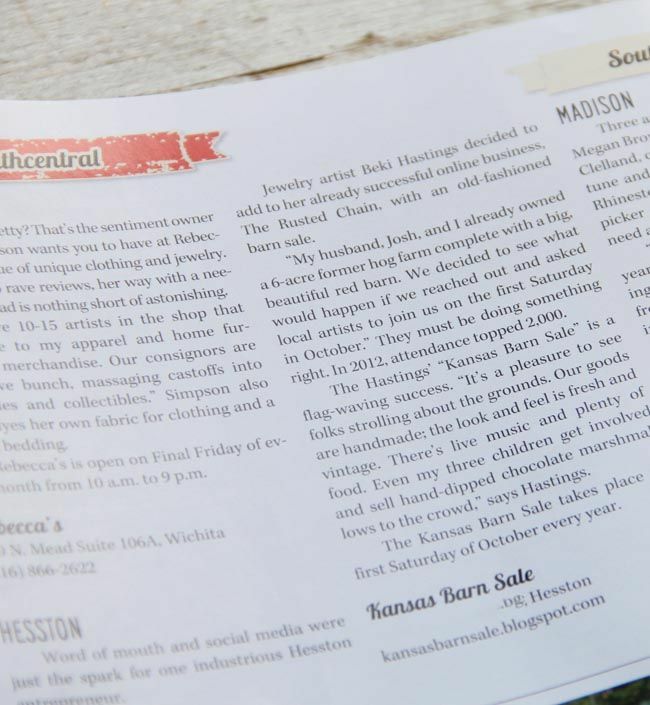 We're in the Summer issue, and the article is about the Kansas Barn Sale. Also the best people. And the best atmosphere. And the best cinnamon rolls. It's a pretty great event! 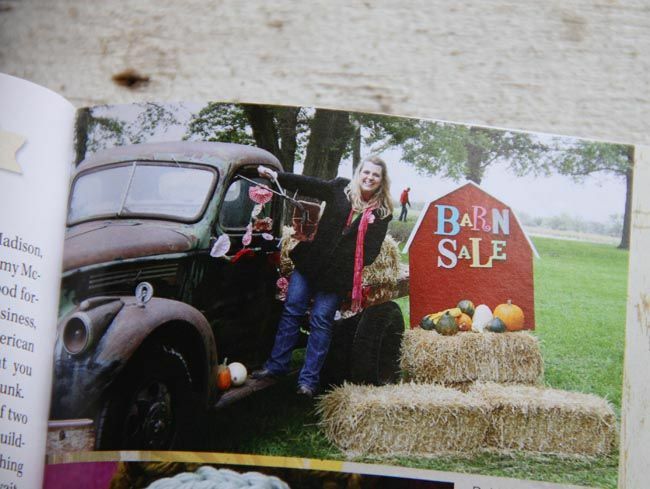 Somehow my fellow Barn Sale Chick, Stacee, got left out of the article. I'm not sure how but we are definitely a team! I couldn't do it without her. It's always the first Saturday in October, which falls on Oct. 5 this year. We're so flattered by the article! And we're so honored that people love the Kansas Barn Sale so much, they just keep telling more and more people! You want to come this year, right?? How exciting! 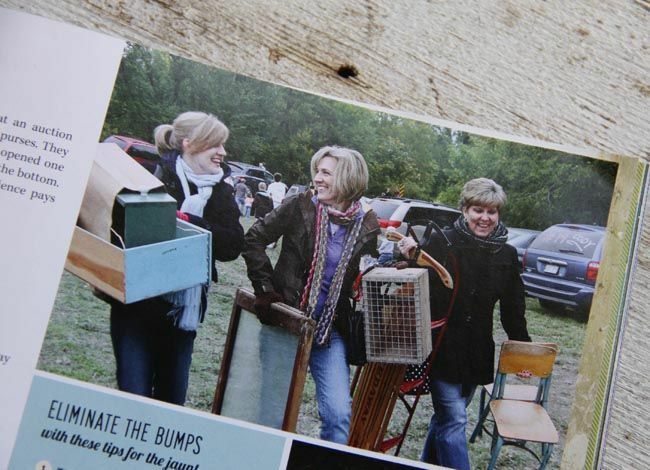 I wish I lived close enough to come to the barn sale- I love antiques and junk! It's sitting on my coffee table! So cool to see that! Seriously, I would **love** to come to the barn sale. But . . . I live in Minnesota, and right now our car seems to only go farther north for vacation (: Congratulations on the article!